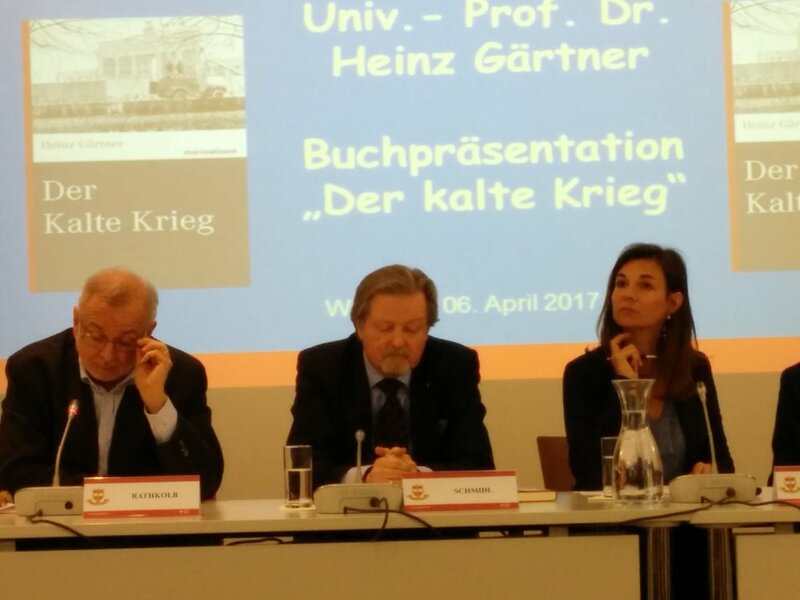 Summary of the Book Presentation followed by a panel discussion on the topic: "Der Kalte Krieg / the Cold War"
on Thursday, 06 April 2017, 7.00 – 9.00 p.m.
John F. Kennedy knew that a “hot war” led with American and Soviet nuclear weapons would have certainly meant the end of mankind. The balance of terror, which has been repeatedly tested by numerous conflicts, cemented the division of Europe and of the rest of the world in two power blocks until the end of the Cold War. Nevertheless, this statement does not purely refer to a historical relic. The post-Cold War world is characterized by relations from that time such as the Ukrainian conflict, the Syrian civil war or the tensions with North-Korea. Brigadier René Segur-Cabanac (Chief and commandant of the Austrian National Defence Academy) affirms that the Cold War remains an important aspect during the formation of an Austrian military officer and he admits that this topic is still of high relevance also nowadays. Several aspects such as the iron curtain, the balance of terror or the risk of a total war in terms of atomic war were permanent challenges faced by authorities, soldiers or citizen. 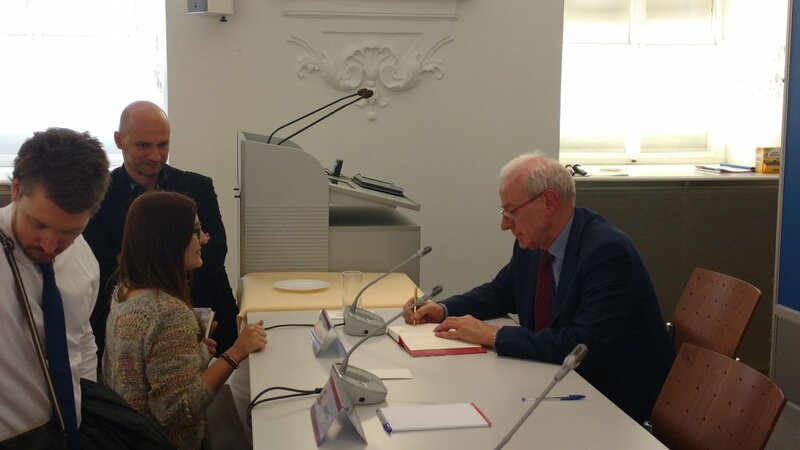 As a think tank competent in the field of military sciences on a national and international basis, the Austrian National Defence Academy must seriously consider the book written by Heinz Gärtner in order to better understand not only our past, but also the current geopolitical developments. 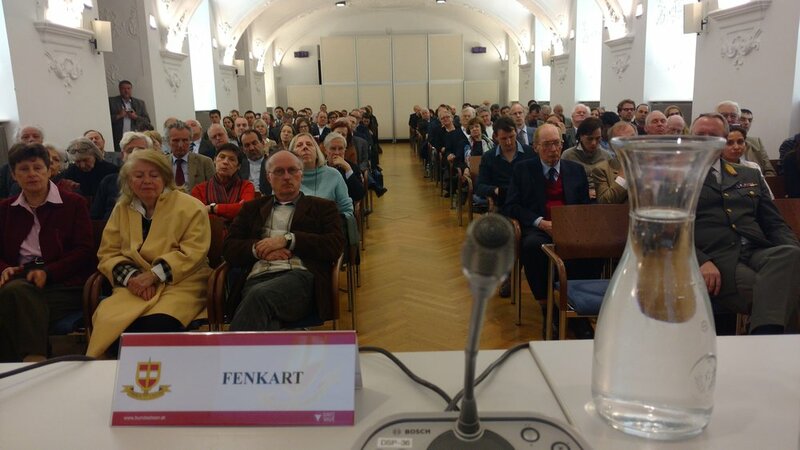 Stephanie Fenkart (Director of the International Institute for Peace) agrees on the fact that the Cold War remains a very modern topic and does not only characterize the history of the second-half of the XXth century. What is the relevance of the Cold War´s analyses today, especially considering the relationship between Russia and the USA, the new international geopolitical environment or the EU security policy? 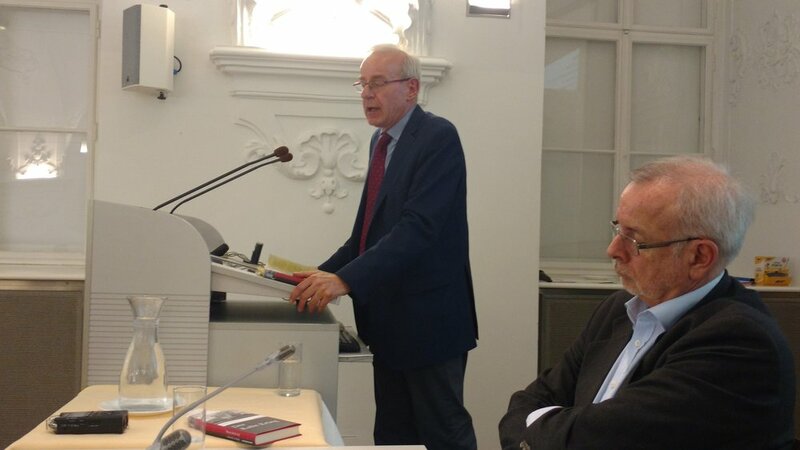 Oliver Rathkolb (Institute for Contemporary History, University of Vienna) wants to focus on five main aspects concerning the book written by Heinz Gärtner. Why do we need a historical and political analysis of the Cold War today? Firstly, such an analysis may help to improve the future of the European continent which was durably and deeply forged by the Cold War. The European project and integration process were a response to solve the many divisions of the continent due to the iron curtain. Secondly, this book is an expertise written in order to enable a dialog among scientists and to discuss numerous aspects of a recent historical period. Thirdly, the author tackles the causes of the Cold War by insisting on the theory of security dilemma and the vital need for a state to maximize its defence system against all types of possible attack, creating therefore a threat for other states and a spiral effect. The formation of two antagonist blocks and two opposite systems of alliance illustrate the relevance of such a theory. Then, the recent Iran nuclear deal, signed in 2015 in Vienna, reminds us that the Cold War was a permanent crisis, in which the two superpowers developed mechanisms of regulation, especially in the field of nuclear weapons. Finally, the end of the Cold War is related to internal reasons such as the tensions among USSR´s satellites or the reforms Glasnost and Perestroika under Gorbachev. Its external aspects, especially the emancipation of non-aligned states, should not be underestimated. The current nostalgia for communism and socialism or the use of fake news illustrate the pertinence of several aspects of the Cold War and underline the fact that such a book is not only an historical analysis. 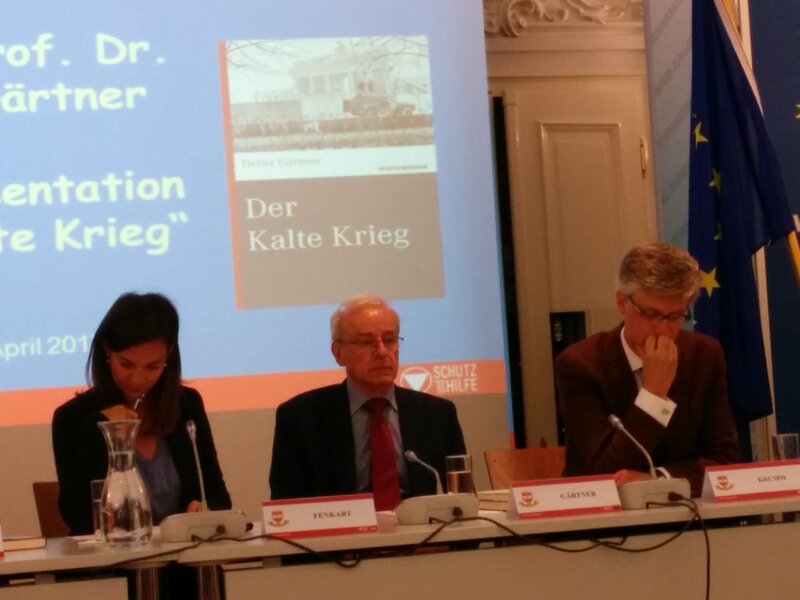 Erwin Schmidl (Institute for Strategy and Security Policy, Austrian National Defence Academy) insists on the fact that Heinz Gärtner´s book is the work of a political scientist. Russian foreign policy or the EU enlargement are fostering strong public interest for traditional topics related to the Cold War such as the fight against false assumptions, the need to understand rivals’ intentions despite the reign of fear or the importance of maintaining reliable communication channels. The book reminds us that both blocks maintained a relative stability in Europe despite numerous tensions, however it should not be forgotten the various conflicts abroad, for example in Vietnam, Korea or Angola. Reinhard Krumm (Head of Regional Office of Security and Peace in Europe, Friedrich-Ebert-Foundation) would like to evoke the new German “Ostpolitik” of 1969-1975. This détente policy was surely not a perfect plan but it helped to change the perception about the USSR and improved cooperation due to a method of small steps. Furthermore, the concept of “cold peace” or the revival of Cold War politics should be considered as well. Francis Fukuyama´s theory about the end of History shows important limits when we consider the situation in Crimea or in the Western Balkans. Can we talk about a “Cold War 2.0”? Heinz Gärtner (University of Vienna, International Institute for Peace) considers that writing a book about the Cold War is still necessary today because “thinking in terms of blocks is an obstacle to a correct analysis”. If Winston Churchill already warned about the international situation during the Fulton speech in 1946, the system of two antagonist blocks set progressively up by means of two military alliances (NATO in 1949 and Warsaw Pact in 1955) and of two ideologies (communism VS capitalism). Arms race and escalation led to crises such as the blockade of Berlin in 1948 or the Cuban crisis in 1962 with the risk of a nuclear war which was dealt with great care. Conventional conflicts were numerous, for example in Angola, Korea, Vietnam or Afghanistan. After Cuba and the Prague Spring, Richard Nixon initiated a policy of détente in order to ease strained relations with the USSR. European leaders such as Bruno Kreisky, Willy Brandt or Olof Palme were deeply engaged in international politics for promoting peace and development. Considering Austria, the question of neutrality was a central one and represented the possibility to go beyond bipolarisation and to be independent of both blocks. To conclude, the end of the Cold War was related to the reformism of Gorbachev within the USSR and a loss of power on the global scale. During the discussion with the audience, the question of the resurgence of Cold War symptoms was an important one. The situation in Ukraine, the tensions between Poland, Baltic states and Russia invite us to think that a new form of conflict is emerging. The panellists consider that, if tensions and crises exist, there is no reason to talk about a “Cold War 2.0”. Obviously, Moscow has regional interests and is trying to extend its sphere of influence, nevertheless the Russian Federation cannot be compared with the USSR also because the Red Army does not exist anymore. Newer PostRussia, Europe and NATO - is there a way out of the Crisis?